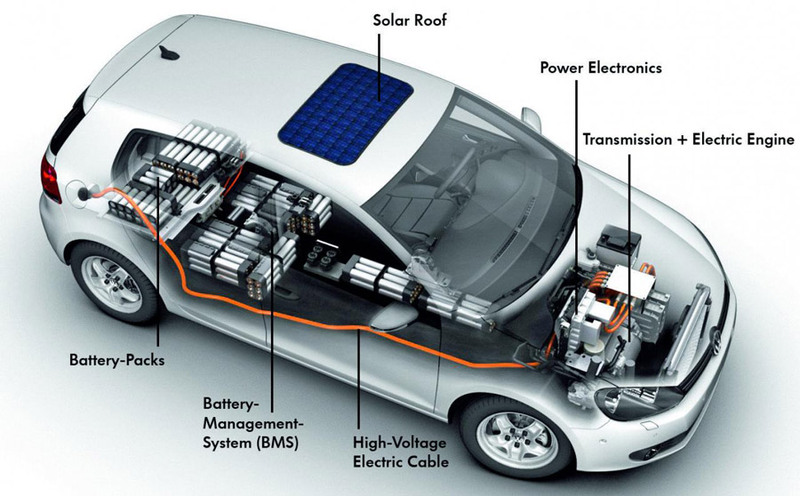 Simply put, the electric vehicle is powered by rechargeable batteries that power the car. When we say “power the car”, we don’t just mean getting you from your house to the grocery store. We mean that you also have to consider the radio, the lights, wipers, and more. If you put an electric car next to a traditional car, you wouldn’t be able to just automatically spot the difference. But if you were to look at the internals, you’d see some differences. For starters, the electric vehicle has no gas tank of any kind. The ones that have gas tanks aren’t true electric vehicles, but hybrids designed to give you the best of both worlds. The battery packs are found underneath the vehicles, or inside the trunk. The electric vehicle will have more batteries and also have a regulator that helps keep power flowing consistently throughout the system. Without this regulator, the batteries could get overloaded and be subject to shorts and surges. The interesting thing is that there are multiple types of batteries available. The top three are primarily DC brushless batteries, AC induction batteries, and permanent magnet motors. So, what happens when you turn on the car? The current is passed from the battery to the controller, which in turn passes the energy to the electric motor. The electric motor is a truly sophisticated piece of technology, possessing the ability to really get you moving in the right direction. The controller is a very powerful component of the overall system, because it has to be able to constantly move energy from battery to motor as well as convert the current into the right power format. This would be roughly 240 volts on the AC current. The motor in the vehicle has to turn the electrical energy into a more mechanical power, which actually moves the car forward. Most vehicles will have a lithium ion battery or a lead acid battery. Only super high end cars have nickel metal hydride batteries. Keep in mind that there’s regular upkeep on an electric vehicle. Just because it’s all electric doesn’t mean it doesn’t have to go into a mechanic’s shop. Be sure that if you take your vehicle in that you check to make sure the mechanic is well versed with fully electric vehicles. There are many great benefits to driving an all electric vehicle. We’re glad that we could shed some light on the subject!